There is extensive evidence of a hormonal stress response by unborn babies as early as 18 weeks including "increases in cortisol, beta-endorphin, and decreases in the pulsatility index of the fetal middle cerebral artery." CLI also writes: "In 2013 a study used functional magnetic resonance imaging (fMRI) to study the brains of healthy human babies still within the womb, from 24-39 weeks. They found that functional neuronal connections sufficient to experience pain already exist by 24 weeks." While 43 states have some type of gestational age restriction on abortion, seven states and the District of Columbia do not, meaning that in those states (and D.C.), it is legal to perform abortions through the ninth month of pregnancy. For a better understanding of what an abortion of a 20-week old fetus truly looks like, one can look to the 2006 documentary "Lake of Fire." In the film, a now-retired abortion doctor pours the contents of an abortion into a sifting tray in order to properly recover and examine the pieces. The media attention is always directed for the fetus and the gory parts, if you will, of providing the procedure, when the really important thing is that we’ve been able to help this young lady get on with her life. She’s planning to go on to school, and she doesn’t have to take over the responsibilities of parenting. Here, in just a very few minutes, we’re able to facilitate her decision to not be a parent at this time. WARNING: The Following Clip Contains Extremely Graphic Material. According to Guttmacher Institute estimates, between 2010 and 2014, just over five million abortions were performed in the United States. 1.3% of abortions occur at 21 weeks and later, reports Guttmacher. 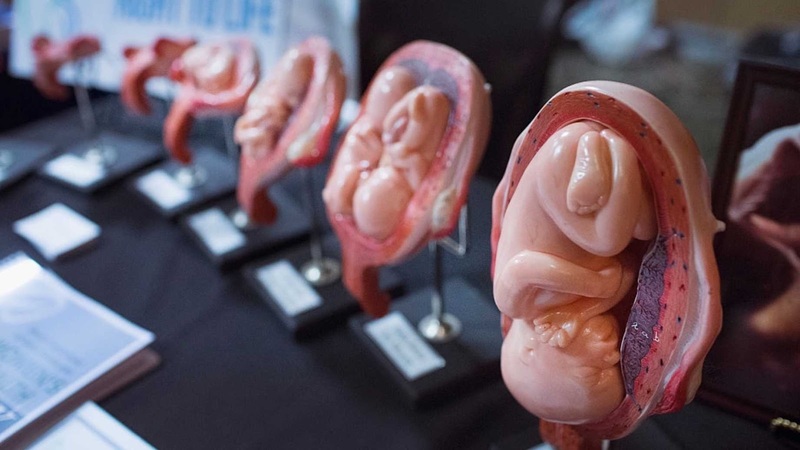 This means that from 2010 to 2014, approximately 65,700 fetuses as developed as the one in the documentary video were aborted.